I’m one of those people who always have some sort of lip product on me, and it doesn’t matter if I have a bag or not. 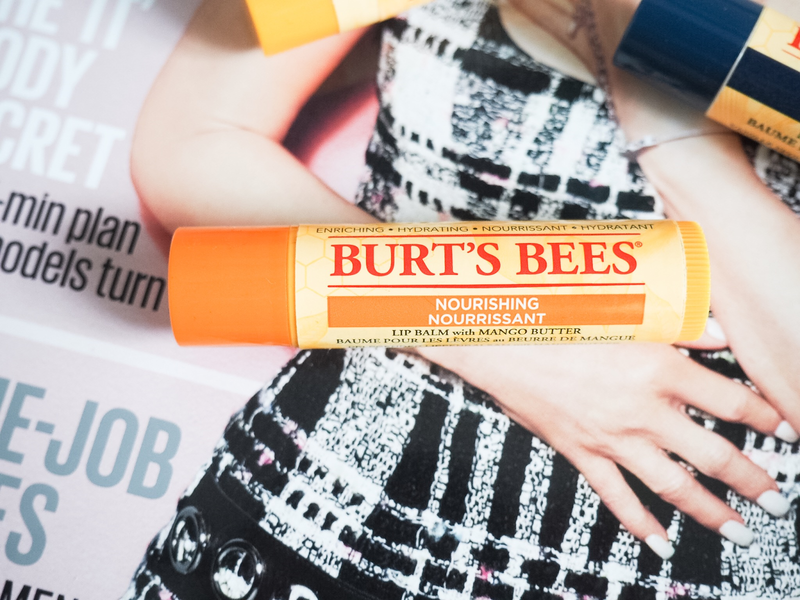 Nowadays it tends to be a mix of lip balm and lipstick but one this is for certain, the lip balm is always Burt’s Bees. It’s now at the point where if I’ve forgotten my lip balm at home I just go to Holland and Barrett or Boots, and buy another one… or two. So it’s definitely a good thing there’s so many dotted around for easy access to one of my favourite products. Over the years, I’ve stared to notice that a lot more products are starting to make my lips itch, which is the weirdest sensation I can tell you, so I’ve spent ages trying to find a product that natural, easy to obtain and is genuinely moisturising. I know there are some great brands out there that also contain SPF, which is great and should totally be used if possible, but every product I have ever used I have a reaction too. Revitalizing Lip Balm with Blueberry & Dark Chocolate – not only do I not like either of these foods I also didn’t like the smell of the lip balm. Vanilla Bean Lip Balm – I only bought this on Saturday after doing a bag change. Nourishing Lip Balm with Mango Butter – I have to say that this one is my current favourite so I’m currently living with one of these in my everyday little bag and another under my pillow. It smells soooooo tropical! I love the fact that the lip balms are 100% natural and I’m all for bees! Since discovering I can officially say that I’ve not looked back since and I’m making a point of trying all the flavours to work out which one I love most.